Issues based blog about Hoboken politics and its impact on residents. 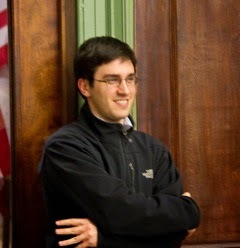 Daniel Bryan, who formally served as Chief of Staff to former Hoboken Mayor Dawn Zimmer has become Press Secretary and Deputy Communications Director for Governor Phil Murphy. Bryan was a senior adviser on the Murphy campaign early on so this should come as no surprise. Congratulations Dan! Well done and you put in a lot of hard work in to deserve this position. Still no announcement has been made regarding former Mayor Dawn Zimmer who was an early Phil Murphy ally. It has been speculated by some that there was the potential for her to be given a position on the Phil Murphy team as well but so far no dice. No. Keep Winner Take All No Majority Requirement. Yes. Change to Instant Runoff or Ranked Choice Voting. Yes. Reinstate Runoff in December For Top 2 if No Majority.